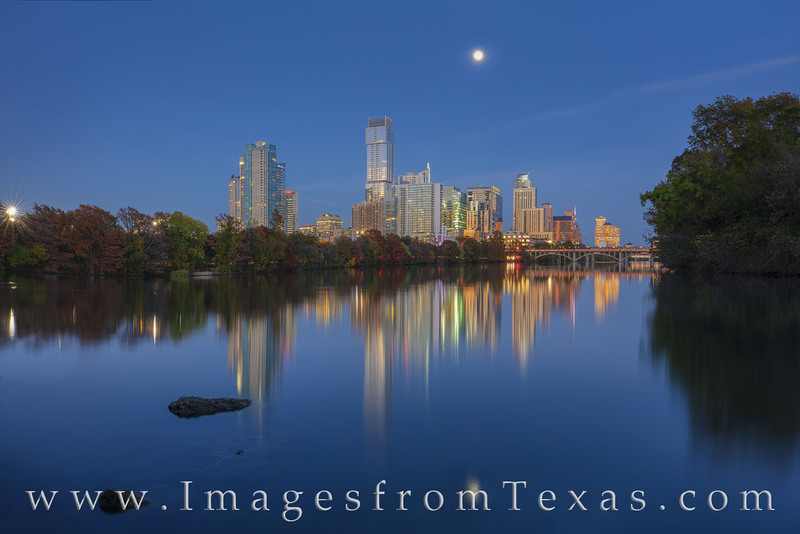 During the blue hour, the full moon rises over downtown Austin, Texas. In the foreground, the still waters of Ladybird Lake (known as Town Lake to long-time locals), is calm and shows a beautiful and colorful reflection of the ever-growing skyline. Most prominent is the Independent, also known as the Jenga Tower. This location is one of my favorite places to photograph this beautiful downtown skyline. Photo © copyright by Rob Greebon.